With junior ace Maddie Penta, who has hurled Bohemia Manor High to back-to-back Class 1A state softball championships, still in the circle and delivering goose eggs and strikeouts at a historic pace, it seems almost unfair that the Eagles also boast one of the area’s most prolific offenses. In an UCBAC Chesapeake Division showdown at No. 4 C. Milton Wright, Monday, the top-ranked Eagles put up five runs over the first two innings and Penta, who has committed to pitch in the SEC at Auburn University when her high school career is complete, pitched four no-hit innings, to lead Bo Manor to a convincing 8-1 win over the Mustangs. 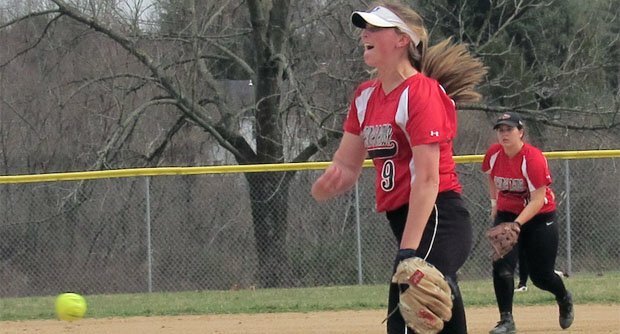 Penta gave way to Alexi Hooper for the final three innings, but she made her mark while she was in the game, striking out the first seven batters she faced and finishing with 10 strikeouts in her four innings. Only two batters put the ball in play against Penta and she walked one. And the Eagle offense, of which Penta is a major cog, has made her job relatively stress free. In the team’s eight games, all wins, Bo Manor is averaging 8.75 runs per game. In the first inning, Carlee Ferguson had an RBI single and Lexi Bailey drove in a run with a double to stake the Eagles to a 2-0 lead. In the second, Penta, who was 4-for-4 with three RBI’s, stroked a two-run single and Ferguson had another run producing single to push the lead to 5-0. Penta led off the fourth with a walk and her courtesy runner, Grace Koerner, came around to score following a walk to Ferguson and Bailey’s second RBI double of the contest. 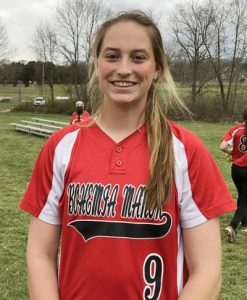 Bo Manor (4-0 in UCBAC Chesapeake) scored their final two runs in the fifth with a sac fly from Regan Goldsmith and an RBI double by Penta. Bo Manor third baseman Carlee Ferguson was 2-for-3 with a walk and two RBI in the Eagles’ 8-1 win over C. Milton Wright. Hooper entered the circle for the Eagles in the bottom of the fifth and kept the combined no hitter intact for two more innings, but the Mustangs finally got to her in the bottom of the seventh. 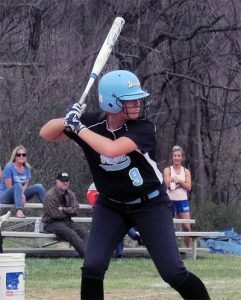 CMW’s senior slugging first baseman Lauren Meyers came up with one out in the seventh and drilled a Hooper offering high over the left-field fence for a home run to break up the no hitter and shutout. 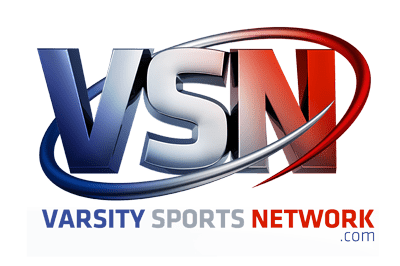 The Mustangs (4-1, 2-1 UCBAC Chesapeake) then loaded the bases when Lexi Childress reached on an error and Cassidy Cochran and Emily Rutkowski followed with back-to-back singles. Instead of giving in, Hooper powered up and struck out the next two batters to end the game. She finished with six strikeouts in her three innings of work. Bo Manor head coach Ed Abshagen, in his first season at the helm of the Eagles after serving as an assistant to Russell Morgan the last six years, echoed Penta’s comments on the team’s offense. Of course, Penta is luxury for any coach, much less a first-year skipper, but Abshagen wants everyone to realize that his junior star is still just a young girl. He also gave a tip of the cap to his mentor. C. Milton Wright senior first-baseman Lauren Meyers broke up the no-hitter and shutout with a long home run in the seventh inning. C. Milton Wright coach Jim French has high praise for Penta, but would like his players to take a better approach to their at bats against her. French, however, expects his team to continue to improve. Pictured above: With her infamous rise ball exploding towards home plate, Bo Manor junior ace Maddie Penta lets out one of her signature grunts. 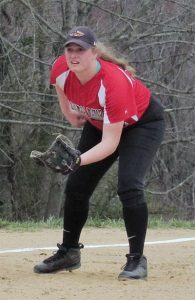 She struck out 10 and allowed no hits in four innings of work. 2B: BM-Lexi Bailery (2), Penta.